Duro-Last 40 mil was installed on the Sandburg Mall. The Duro-Last roof replaced a leaking built-up roof. The customer had previously tried another company/product using a seal coating, but switched to Riddell Roofing/Duro-Last after patching failed. 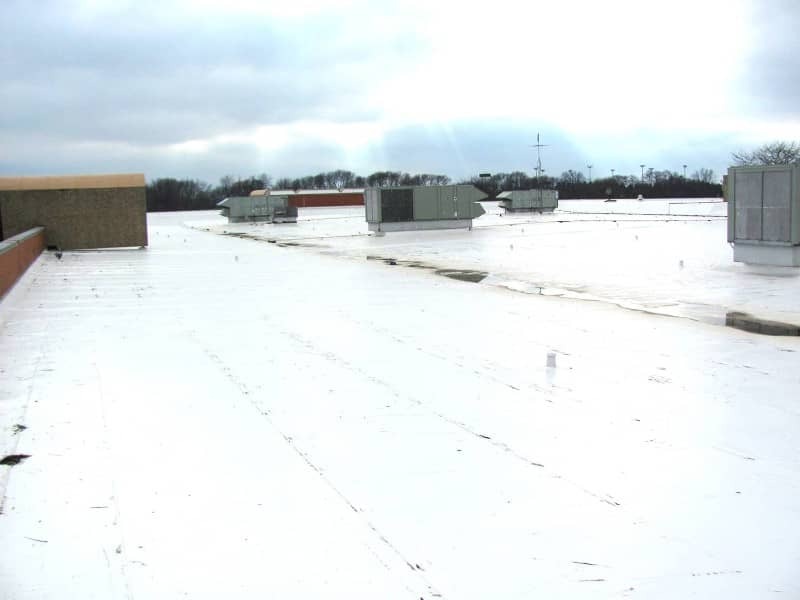 Riddell Roofing and Duro-Last were chosen because of pricing, quick installation timeframe, and the additional services Riddell Roofing offered including tearing out the wet roof sections.